Social media management in this day and age is a relentless race to keep tabs on, produce and sell the best content, while at the same time speaking to and keeping tabs on an increasingly demanding audience that wants quick attention to their needs. One small misstep is all that needed to lead to a PR nightmare for your organization. If you ever felt that you needed help with your social media efforts, but your company can’t hire someone to take on your load, here are some great tools that can automate your management processes. 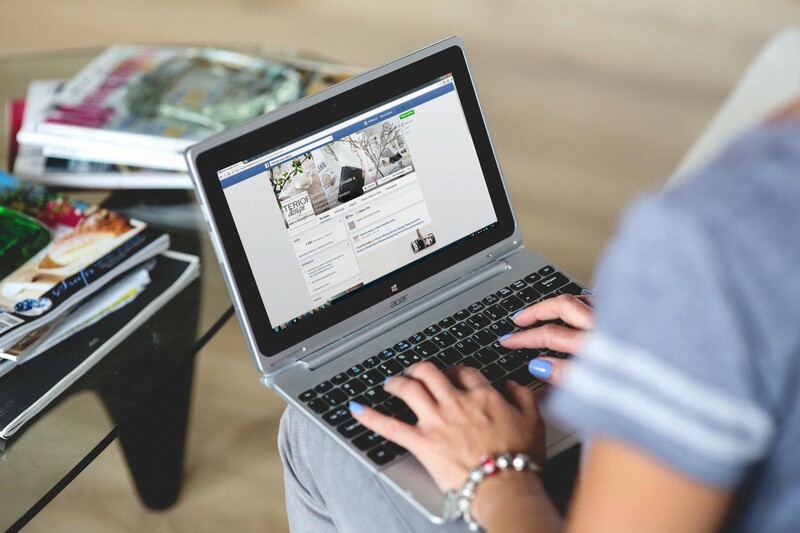 Having thousands of fans speaking to you on your Facebook page is every marketer’s dream, but once you get that you may begin to start having problems keeping track of who is speaking to you on your page. This makes moderation of conversations incredibly difficult and can consume a vast portion of your time. 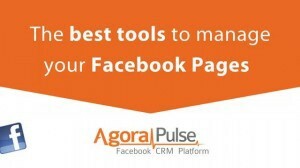 AgoraPulse tackles this with their brilliant automatic moderation tool, which can keep track of keywords that you choose to monitor, and then sends an email notification to yourself or other members of your team to craft a response for. It even helps you automatically hide certain comments if they mention certain keywords you deem undesirable, ensuring you don’t have to scroll through hundreds of comments a day. Most social media marketing practitioners update their social media pages every single day, and having to remember to log into each one and manually post can easily take up an hour or more of your time. It doesn’t help if you have different posting schedules for multiple pages, as the day-to-day fire fighting can cause you to miss a scheduled post timing. 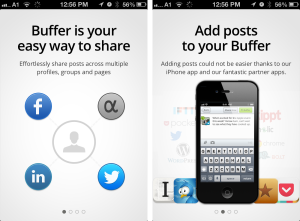 Buffer is a web application that helps you create a “buffer” of posts in advance. Use this to queue up multiple posts for posting across multiple social media pages, all with their own automated scheduled posting times. Now you can focus more efforts on generating good content, and leave it to Buffer to get it out on your platforms. Some social media managers make use of RSS feeds to keep tabs on content that you might want to share on your Facebook page. The problem is that there is usually more interesting content out there than you can post within a day, so you would have to keep your own log and remember to post them at your scheduled posting time. Bundle Post integrates RSS feed findings with your posting schedules. With this tool, you can pre-load a set of content your feed has found into a posting schedule, and view them all before posting all on a single platform. Most companies publish their own blogs, and getting them out on the various social media channels can be a difficult exercise if you are not the one doing the blog posting. Instead of constantly having to check back with your company’s blogging team, why not synchronise blog posts with your social media posts? 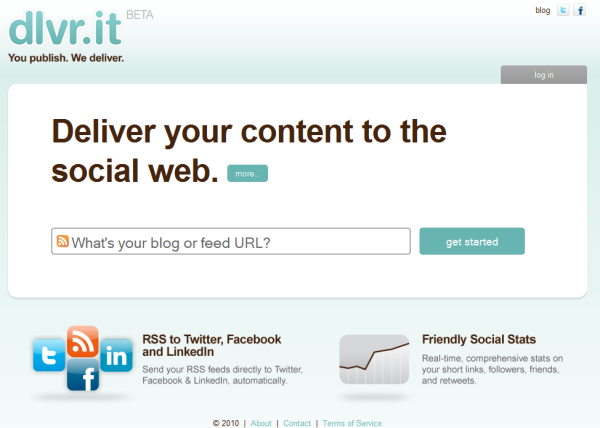 Dlvr.it syncs up the RSS feed of any blog you want with posts made on social media. If you want a tweet to go out everytime a blog post is made, simply use Dvlr.it to make the synchronization with your blog’s RSS feed, and you’ll never have to worry about missing a blog post update again. Sometimes you find yourself repeating a certain set of actions in an almost routine fashion. You know the drill: Post a photo on Instagram, post the same photo to a specific album on Facebook, then Tweet about it. Wash. Rinse. And repeat for every photo. As complex as it may seem, even a chain of different actions on different platforms can be automated. 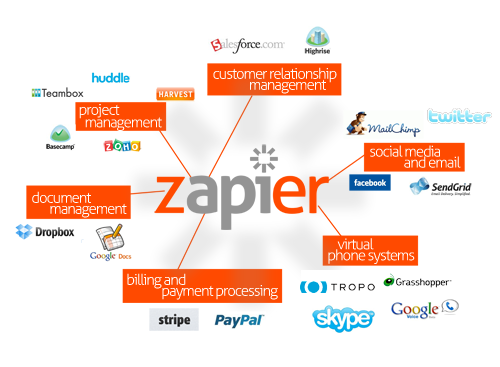 IFTTT, which stands for If This Then That, and Zapier, are two incredibly intuitive and simplified ways for you to queue tasks for different platforms together. Both are integrated with an extremely large range of applications, and cover pretty much every possible action you can think of that involves more than one application. Even apparently complex tasks can be automated with these versatile tools, and the only difference between them is their user interface, which boils down to your own personal preferences. One of the hardest things to do on Facebook is coming up with ideas for an original post, or finding that one piece of content that is trending strongly enough for you to share and catch when it becomes viral. After a period of time, many social media managers face something akin to “writer’s block”, or “post block”, if we could coin a term. 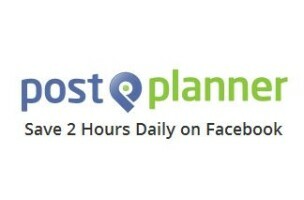 PostPlanner has a range of functions that help you automate your Facebook posting, but what stands out is its ability to generate ideas for posts with its “Status Ideas” tool, which provides different post categories and specific ideas for your inspiration. Additionally, it’s “Content Engine” helps search for top posts within Facebook based on your keyword preferences and the likes and shares the post, helping you find the hottest topics, and then schedule a post about them, all within minutes. If you want an extremely comprehensive set of tools all located in one space, and have a broad range of needs that cannot be targeted by any one single application, you might want to use Hootsuite, Social Oomph or Sprout Social. The most widely used social media management platform in the world, Hootsuite provides one of the most comprehensive set of tools out there for the management of multiple accounts. 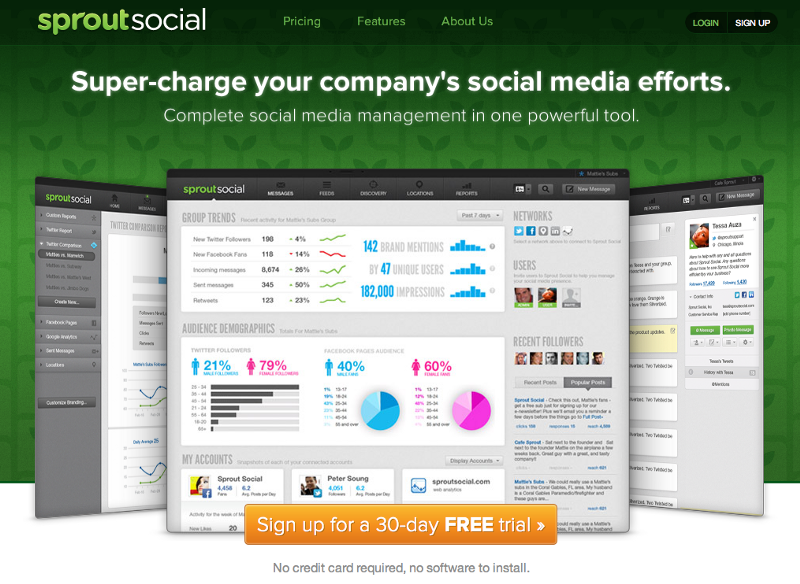 Social Oomph and Sprout Social may be less well-known applications, but they definitely do not lose out in terms of the range of functions they offer. These applications excel at having a huge diversity of functions. The problem with such diversity is that these applications do not particularly excel at providing any one function very well, and the platform can be unwieldy and overwhelming to people who do not know the possibilities. These 3 are the Swiss Army Knives of social media management, providing almost everything mentioned earlier.